If you are looking for a safe and comprehensive approach to increased health and vitality in Pittsburgh, welcome to Health Horizons. Our knowledgeable and caring team in Oakmont is here to assist you on your quest. Experience our website to discover how our integrated health care services will bring you closer to the horizon of optimum health and well-being. Health Horizons exists to provide care, guidance, and education in the pursuit of optimum health. We enhance vitality by addressing the underlying interferences to the body's innate ability to heal, while encouraging self-responsibility, a healthy life-style, and a realization of one's optimum potential. 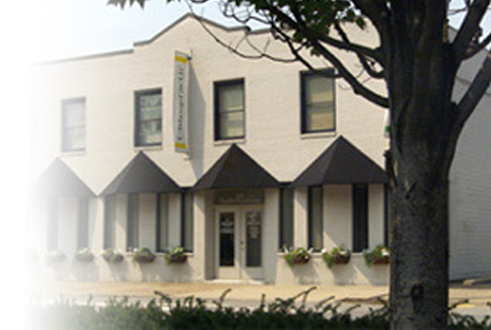 Dr. Palombini has been in chiropractic practice for over 39 years in this location. In addition to chiropractic, she specializes in clinical nutrition. Her areas of expertise are women’s health concerns, chronic inflammatory problems and weight management. Dr. Smiesko is a recent graduate of Parker University in Dallas, Texas and completed her B.S. in Biology at Penn State University. Although she had been enjoying living in the warm weather in the south, she is not a new face to the area or our office. "The absolute best. Will go no where else for chiropractic care and maintenance and for my nutritional needs." "This place is a haven of health and healing…EVERYONE should go there!" "These chiropractors are the best in town. They are highly skilled and compassionate doctors who fully understand the whole person. They have done wonders for every member of my family as well as the many friends whom we have referred. We cannot say enough about their professionalism." "I’d just like to say thank you for showing me how to live again, without pain. After being told for years that “it was all in my head,” I found someone who believed me. I feel better in just a few short months than I have in almost 10 years. I was very skeptical, but I can honestly say, it works!"